OVER the Occident has swept from dreamy Oriental skies, during the past forty-five years, a balmy breeze of metaphysical speculation laden with the aroma of the choicest flowers of eastern thought. Upon the West it has had a salutary influence, warming the chill winds that blow so constantly from the icebergs of the practical that they threaten to force upon us a frigid climate of materialism. The more spiritual inhabitants of the Occident were quick to recognize the advantages to be derived from the East, and opened wide the windows of their souls to the genial influx, absorbing often without discrimination all that the aromatic zephyrs wafted to their shores. Unfortunately, the flowers of Oriental thought are not all friendly to the human race; for amid the wholesome varieties whose perfumes become an invigorating tonic to the spiritual nature are to be found others noxious, whose noisome odors poison and atrophy the soul. Another efflorescence, the subject of this chapter, scarce less deadly in character, has a most fascinating fragrance that intoxicates as a subtle stimulus. Its effect is to interest in things spiritual, to give high ideals and lofty aspirations; but at the same time to dim the spiritual sight and confuse the mind. It numbs the senses of the soul by refuting their evidence, and sinks the intellect into a state of dull apathy where, rather than make the effort to acquire knowledge at first hand, it is content blindly to accept the statements of others. So thoroughly has western occultism become intoxicated with this insidious teaching of human reincarnation and karma that one scarcely can open a book upon occult subjects without finding some reference to it within a few pages, its verity being taken as a matter of course. Occult periodicals teem with references to it, and one seldom mentions a phenomenon in which occult forces play a part without being called upon to explain its relation to reincarnation. Upon the shelves of our public libraries are volumes written to prove its truth, but strangely enough, we find little there analyzing it or criticizing it. The student upon his first approach to occult science is impressed generally with the notion that he must accept unquestioningly the dogma of human reincarnation as the foundation of truth if he is to accept any part of occult teachings. So fully has this subtle doctrine permeated western esoterics that few have the hardihood to express their opinions if these are contrary to the popular current. It is so firmly entrenched that anyone daring to present the opposite side of the question is, if possible, immediately squelched, discredited, and made an object of discountenance and suspicion. Now, I am convinced it is a most dangerous omen when people permit themselves to be so dominated by any new idea, religious or political, that they fear to hear it criticized. It is an augur of approaching mental slavery. Prohibiting critical investigation has been the method employed through countless ages by religious and political autocracies, and where successful has never failed effectually to block the path of mental and spiritual progress. Error must ever be hedged and protected by a wall of prejudice and intolerance, but truth is strong enough to withstand in the open the assault of mental conflict. Before saying more, that my position may not be misinterpreted, I may mention that among those I esteem highly are students who make human reincarnation the groundwork of their belief. Others equally esteemed are steeped in the tenets of the various orthodox sects. 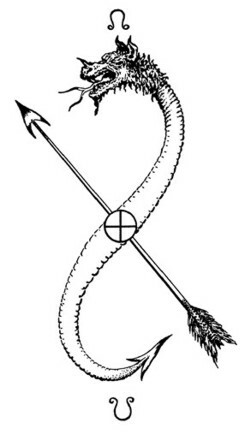 Nevertheless, these people are intellectual, and they are clever in applying occult forces and in discerning occult truths that do not happen to conflict with their religious preconceptions. These good friends are morally worthy, possess high ideals, and are prompted by the best of motives. Then again, there undoubtedly have been Christian Mystics who have believed devoutly in vicarious atonement, and there have been Oriental Mystics accepting reincarnation, who have been of unparalleled virtue and goodness. So today there are many worthy persons in both classes. And it is not my desire in issuing this lesson to wound the sensibilities of these who hold to ideas at variance with my own, or to imply, upon their part, lack of intelligence. I do, however, feel in duty bound to exercise the prerogative necessary to mental freedom; the right of honest disagreement between scientific investigators. It has been well said that it is easier to rescue truth from error than from confusion. Science and philosophy have found it no difficult task to overthrow falsity once there is something tangible to grasp. But a hazy chimera presents no secure hold for the reason. Could the tenets of human reincarnation be sharply defined it could be grappled straightway and its strength proved. But there is nothing definite about it; for in scarcely two schools are the same things taught, and those advocating it most persistently do not agree in its essential details. The number of incarnations in human form necessary are given by Mr. Sinnett, who was the first to publish anything regarding the appointed number of reincarnations, as not less than 686, and normally not far short of 800, but varying within narrow limits. One strong school in America teaches that two or three incarnations are all that are necessary, and various other centers teaching reincarnation range between these figures. As to the time elapsing between incarnations we find in Mr. Sinnett’s Esoteric Buddhism that rebirth in less than 1500 years is spoken of as almost impossible. But a prominent school in France, whose teachings are gaining ground in America, teaches it not to be uncommon for one to reincarnate in the offspring of his own child and thus be his own grandparent. The teachings fluctuate between these extremes, the most generally accepted in America at present being perhaps that about 500 years elapses between rebirths. The precise effect of karma also is the subject of much discussion, some leaders of the old school holding that the evil wrought in one life returns only in a general way in a future life, while many of the newer teachers insist on a specific reaction of the good or evil—that a murderer will be murdered in a future life by his former victim, etc. In addition to this indefiniteness, which makes plausible explanations easy because almost anything may happen in so wide a range of possibilities, there are woven about these doctrines, by the morbid imaginations of semi-lucid mystics who pose as teachers and thus find their way into print, such fantastic fabrics of illusion as were never dreamed of by that most erudite founder of Theosophy, H.P. Blavatsky, who was instrumental in introducing reincarnation to the West. Lacking definite information concerning the theories they are taught, the minds of many students become filled with hazy and ill-defined notions. Such phantasy thinking conduces to a negativeness in which they become unwittingly easily influenced by unseen malign forces. Because it has received so much publicity, the investigator, at the beginning of his studies is usually impressed with the idea that reincarnation is accepted unquestionably by all occultists at the present day who have progressed far along the path, and that it has been the universal belief of all notable reformers, philosophers, and initiates of the past. 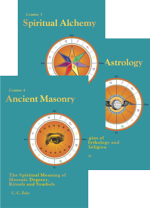 As a single example, from innumerable instances that might be cited, of the method by which the beginner in occult studies is impressed that everyone, not only of the present day, but also in the past, who has been noted for wisdom has embraced the doctrine of human reincarnation, it is commonly and stoutly asserted that the doctrine is taught in the Bible, and by the Master, Jesus. Now it is a current saying, based on the controversies of some two hundred Christian Sects, that anything can be proved upon Biblical authority. But to believe that a considerable part of the earth’s inhabitants have studied the Bible for nineteen hundred years without discerning that human reincarnation is one of its fundamental and important teachings, if that teaching is really there, oversteps the bounds of average credulity. “4. Nicodemus saith unto Him, How can a man be born when he is old? Can he enter the second time into his mother’s womb, and be born? “5. Jesus answered, Verily, verily, I say unto thee, Except a man be born of water and of the Spirit, he cannot enter into the kingdom of God. “6. That which is born of the flesh is flesh; and that which is born of the spirit is spirit. “7. Marvel not that I say unto thee, Ye must be born again. Jesus tells Nicodemus, as plainly as possible, that he must have a spiritual birth. Certainly He could not be explaining the doctrine of human reincarnation in such language. And if He even believed in it He certainly failed in his mission as a teacher. He made his doctrines of Love your Neighbor, and Do unto others as You would have them Do unto You, so plain that they were understood by the most ignorant and by the most innocent, as well as by the learned. But if He had ideas on human reincarnation He expressed them so poorly that the greatest scholars in the world during nineteen hundred years failed to discover them. “But I say unto you, that Elias is come already, and they knew him not, but have done unto him whatsoever they listed. Likewise also shall the Son of Man suffer of them. The obvious thought here conveyed is that John the Baptist carried out the ideas of Elias; for Elias and Moses appeared at the transfiguration talking to Jesus. Yet if Elias had incarnated as John the Baptist, he would now be John the Baptist, and no longer be Elias or appear as Elias. John the Baptist had already been beheaded; and if Elias and John the Baptist were one, John the Baptist being the last incarnation would have appeared at the transfiguration, not as Elias, but as John. As Elias, according to the narrative, was the one to appear, that is proof positive that Elias retained his individuality as Elias and had not reincarnated as John. As a matter of fact, the personal investigations of an increasing number of Western Initiates, including the author and many others who have undergone special training necessary for such research, all go to disprove the theory of human reincarnation. 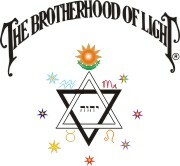 At no time in its history has The Brotherhood of Light held to this doctrine. Further, among the independent thinkers scattered over the West—those astrologers, psychics, and occultists who do not bow to statements based merely upon authority—there is a rapidly diminishing number adhering to it. Even in India, the home of its birth, it is far from a universal belief, and is stoutly denied by many learned Hindu Initiates. It should be borne in mind that there is a vast difference between the doctrine of reincarnation and that of human reincarnation. Reincarnation as applied to the soul in its evolution through various progressive forms from mineral up to man, has been almost a universal tenet in the occult schools, and reference to it may be found in the sacred and philosophical writings of all ages. From this fact confusion has arisen; for the human reincarnation school has construed every reference to reincarnation made by any writer of consequence to mean human reincarnation, which is an entirely different doctrine, and strenuously denied by Western Initiates. Human reincarnation implies that once incarnated as man and gaining self-consciousness in the human state, the soul must repeatedly return and animate other human bodies. 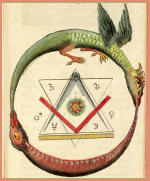 Most ancient schools of occultism, including The Brotherhood of Light, believe in reincarnation through various progressive species, but they deny the doctrine of human reincarnation. This was seven years after the founding of the Theosophical Society and six years after the date of Mr. Olcott’s conversation in New York with a Mahatma, in which reincarnation was convincingly denied. I do not doubt, therefore, that H.P.B. was sincere; for while working under the Western Initiates she denied reincarnation, but after her removal to India her mediumistic nature, which was remarkably pronounced, absorbed and became enamored with the doctrine by which she then was environed. The dogmas of her later associates, whose minds had been trained for magic, invaded her mentality despite her previous training. Returning to the occult student’s first impressions; he is informed that a large portion of the globe’s inhabitants believe in human reincarnation. This is sadly true, even as in Galileo’s day most of the people, including the learned, believed the world flat. In fact, the multitude in times past have mostly been outrageously wrong. And there is no assurance that at the present day they constitute a competent jury to pass a verdict upon truth. Neither is it wise to place reliance upon the claims to knowledge of others; for history is a chronicle of mistaken authority. The only safe plan is to keep the mind open until such time as one can evolve the necessary faculties to prove truth at first hand, keeping in mind that the mediumistic tendencies of the human race are such that whatever political, religious, or moral ideas are held by a few dominant minds are usually accepted by the rest without criticism or analysis. Thus nations are subject to waves for war, for peace, for reform, and for various other things, and few stop to consider how they are carried along on the mental tide without adequate reason. They are possessed of a new set of ideas, often made plausible by the flimsiest arguments, that instantly blot out their former convictions. Such an argument in favor of reincarnation is the appeal to the principle of justice, a principle firmly seated within the human breast. Man is reluctant to believe the Creator unjust, and ardently seeks some method of reconciling the apparent injustices perpetrated by nature. At first glance human reincarnation seems to solve the problem of these inequalities of life. But a closer scrutiny reveals that it has completely failed to give a reasonable solution as does a belief in the whims and caprices of the Jewish Jehovah. In the first place, if we use these inequalities as material for argument, their value must be ascertained. If they possess real value the inequalities are real, but if their value is indeterminate, so also must be the inequalities. Now the materialist stoutly affirms that health, wealth, honor, intellect, etc., which form the apparent inequalities of life, are of real value. The occultist, on the other hand, maintains that the real man is spiritual and immortal, that external experiences have no value in themselves, but are the means through which real values for the soul may be created. That is, an experience may be made the means of spiritual progress, but this value lies not in the experience, but in the soul’s attitude toward it. Consequently, as even the worst calamities may be made a means of soul progression, these also may be made valuable. Thus it is a matter of common observation that hardships, trials, and sorrows are more readily turned into values of progress than the so-called good fortunes. Few ever turn their faces toward the rising sun of spirituality until they have drained the cup of adversity to the dregs. The successful man, all too often, is too absorbed by business cares, the wealthy woman by social ambitions or pleasures, the man of science in his work, to care for higher things. And so, not infrequently, those materially fortunate are spiritually cursed. If we admit that events in themselves possess value we should incline to the view that the severest and most painful experiences have the greatest value, and that the Scriptures are correct in implying that whomsoever the Lord loveth He chastiseth. From this viewpoint we are compelled to draw the conclusion that material advantages are the worst punishment inflicted by divine justice; for scarcely shall a rich man enter into the kingdom of heaven. This completely reverses the popular conception of karma, and would indicate that the prosperous man is now paying by his prosperity for some heinous crime committed in a past life. But with Socrates, Epicretus, Aurelius, and a host of other thinkers, I am unwilling to admit the value of events in themselves. I hold that good may be derived from any event of life by utilizing it for progress, in which case the value lies not in the event, but in the soul’s attitude. So, what is used by one soul for progress is by another permitted to become a hindrance, no two probably needing the same experiences to develop their latent possibilities, nor would they make the same progress under the same circumstances. Let us not forget that the spiritual geniuses of the past have had their soul powers forged in the furnace of material affliction. To them adversity proved a great blessing. From this it might be thought that for good deeds one should be rewarded in the next life by the direst of circumstances and be made the subject of severest persecutions. But all souls might not respond alike to such vigorous treatment. No doubt there are some weak ones who need the tender hothouse care of material blessings, though these seem at a disadvantage and seldom make a thrifty spiritual growth. Viewed from the physical plane, we now see that the good consists of material and objective advantages, but that viewed from the plane of spirit the good consists of such subjective and spiritual advantages as are usually found in deadly conflict with advantages material. These two ideas of good antagonize. One cannot at the same time worship God and Mammon. They are just as opposite as the sun viewed from the earth, and the earth viewed from the sun. As a consequence of this dual viewpoint, the spiritual philosopher might accuse the Creator of injustice if he were born in easy circumstances, while the materialist might bewail his fate if born in humble surroundings. From this it must be plain that the popular conception of Karmic Law—reward and punishment meted out in terms of material advantages—is purely and completely a materialistic doctrine. Returning now to a logical standpoint: All must admit that viewing it from the angle of soul progression we are unable to say, in any particular case, which are the good events and which the evil; for an event that is utilized by one soul may prove a hindrance to another. An event at one period of life may produce an opposite effect than if experienced at a different time. It will be seen, then, that any just system of reward must be based upon the momentary needs of the soul. And who shall say, at any given time, what experiences will advance the soul furthest in the long run and help it evolve its latent attributes? The experiences of life meet the transitory and constantly shifting requirements of the soul, but the apparent inequalities of this life—which of itself is but the tick of the second hand on the watch timing the soul’s infinite flight—these inequalities, I affirm, are indeterminate. Another purely materialistic conception is the idea that nowhere in the vastness of the boundless universe can justice be meted out except on this speck of dust called earth. Millions of worlds crowd space, larger and grander than ours; electromagnetic, astral, and spiritual worlds, as well as those material. Planes interpenetrate planes, all swarming with intelligent life. The world of matter is concrete to our physical senses, but not so in reality. The electrons of matter are comparable—relative to their size in proportion to their distances—to the planets of our solar system. Electromagnetic, astral, and spiritual worlds are as real and tangible to the senses of their denizens as is the earth to man. In fact, as is the testimony of the many exalted souls who temporarily freed from the body have visited that glorious realm, the spiritual world is a world of increased consciousness. So, too, the astral spheres surrounding the earth are fully as actual as the material world. There the sensations of pleasure and pain are far more intense than those in the physical. Then why should the physical world be the only place where man can expiate his errors? The experiences of seers, prophets, and initiates testify that in the spheres interior to the physical man has every opportunity for atonement and purification, and every facility for progress. That the doctrine of Karma as taught finds a following at all seems to me to be due to the difficulty many have, even as they cannot imagine a country with different customs, of conceiving any reality beyond their immediate experience. Then again, a system of morals based upon doing good for reward, either in this life or the next, is at heart a system of selfishness. And to hold that the earth is the only place where divine justice can be administered is materialistic. Yes! It is worse than materialistic; for materialism at least offers the encouragement of oblivion after death. But human reincarnation blights all hope by dooming to innumerable lives—with all their agonies and heartaches, amid worldly conditions that already have become to the pure in heart a hell of avarice, selfishness, sensuality, and carnal desire—in human form. What, then, may we consider the cause of the apparent inequalities of life? They are the result of the quality and nature of each soul harmonizing with or antagonizing its environment. It attracts to itself an environment corresponding in vibratory rate to the thought cells present in the astral body with which it has clothed itself. These thought cells have been organized by its various experiences in lower forms of life. Experiences of a certain type impress their influence upon the sensitive astral form as a definite organization of energy. This organization of energy persists in the astral form when it is attracted to and becomes incarnated in a higher species of life and tends to attract it to experiences of a similar type. If the experiences have been inharmonious, it tends by vibratory affinity to attract other discordant experiences; but if the experiences were harmonious, it tends to attract other harmonious experiences of the same type. The soul, in its involution through higher worlds, and its evolution through life forms from mineral to man, attracted to itself experiences of a given kind because of its original polarity—its original quality of vibration. This original attractive and repellent quality arose at the differentiation of the soul as the result of cosmic need. That is, there was the need for a soul of definite qualities in the universal scheme of things, and this universal need, this void to be filled, through the agency of its angelic parents, gave the soul its basic trend. The influence of the thought cells organized by experience is beautifully illustrated in astrology. The planets are not the cause of a person’s condition in life. They merely correspond to the thought cells in his astral form. These thought cells, and their organization within his finer bodies, are his character. His character, therefore, because of the strong and weak, harmonious and discordant desires of its thought cells, attracts to him the conditions and events of his life. 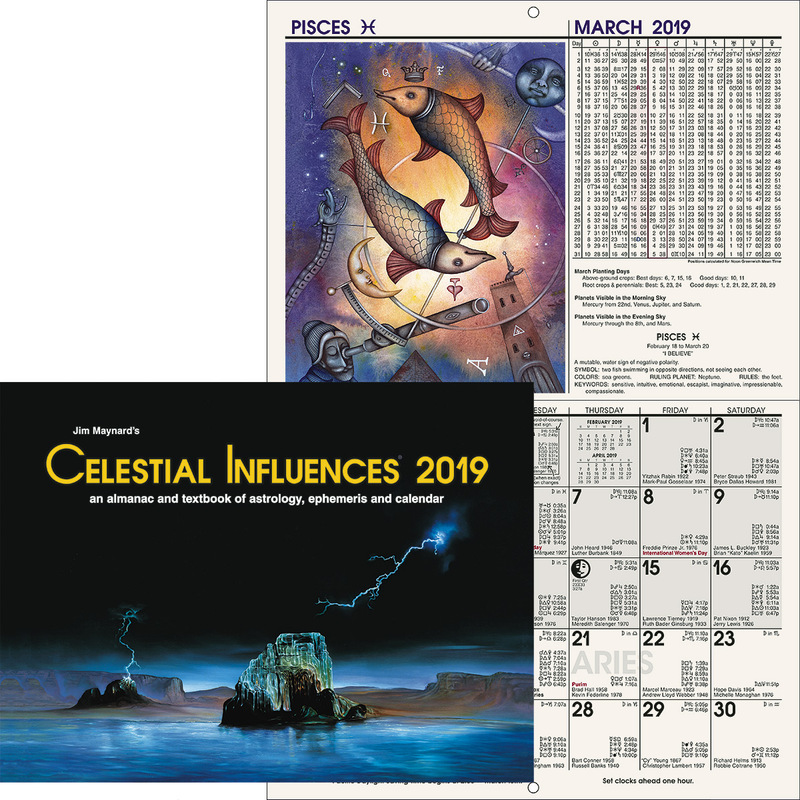 To be sure, these conditions and events are shown in the astrological birth chart, but only because a child is not born until its vibrations correspond with the vibratory rates received upon the earth from the planets. After birth the planets send him energies that have an influence upon his actions, just as the weather and other factors of his physical environment also have an influence upon his actions. But it is really the activities of thought cells within his astral form that attract conditions and events, the positions of the planets, by their stations and aspects, mapping these activities in the astral body. If they are harmonious, they denote prosperity, but if discordant, they signify adversity. The fortune of a person, then, is the affect of the environment thus attracted reacting upon the character. And a character that is a martyr in one age, in another might be an object of adoration. A tyrant born at an opportune time and place might rise to the throne, while in a different environment might as quickly mount the scaffold. Human reincarnation would have us believe the martyr suffered torture because of sins in some past life, and the successful tyrant was given the power to scourge him to the flames because of good done in some remote incarnation. But the very good fortune of the tyrant in this life leads to actions, as material fortune often does, that will make him an object of commiseration in the future. I am loath to think the spiritual giants who have left their footprints on the sands of time have endured the suffering which has been their common heritage in expiation of past misdeeds; or that wealthy parasites, living in luxury upon the very heart’s blood of the poor, are thus being rewarded for beneficence in ages gone. Instead, I must adopt the old Hermetic teaching that, even as children on earth have physical parents, so do souls at their differentiation, before their descent into matter, have angelic parents. These angelic parents are not the creators of souls; but by their parenthood offer the conditions for souls to enter the grand cycle of necessity. Souls, then, are differentiated by angelic parents in response to a definite universal need, and each is sent out to be educated to perform a required function in universal affairs. Its inherent character, persisting potentially from the moment of its differentiated existence as an entity, and determined by the universal need that called it into differentiated existence, endows it with definite attractive and repulsive qualities. Because of this basic polarity which it acquired at the moment of differentiation, during its cyclic journey down through spiritual and astral realms, and then evolving up through various forms from mineral to man, it is attracted more strongly to certain phases of life than to others. It is the qualities thus developed in lower impersonal forms, persisting as thought cells within the astral body, that tend to attract events and environment of corresponding quality, harmony or discord, when the soul finally incarnates as man. Now, a little observation will show that the object of Nature in life is diversity of expression, not identical expression. The requirements of universal life need souls of various qualities, even as civilization requires men and women adapted to many trades and professions. All men are not fitted to be artists, or musicians; and it is well that they are not, for the world needs those skilled in mechanics and those who produce food. Neither have souls the same destiny. All are essential in the cosmic scheme, and find their greatest joy in doing their appointed tasks. Blessed are they when they have found their work! And who shall say what is great and what is small in this universal scheme of things, or whom are the important ones? Should the hand criticize the foot for lack of equal dexterity, or the eye be envious of the ear, or the heart feel it has been unjustly treated because it is not given the work of the lungs? Souls differ as do the trees in the forest, not alone in magnitude, but as to their ultimate goal. Mature trees represent the kind of seed planted plus the environment since planting. A human represents the inherent nature of the soul plus its experiences while involving and while ascending through various forms from mineral up to man. But no environment will make a fir tree grow from an acorn, nor a soul springing from the planetary family of Saturn into an aggressive warrior. Oaks, firs, cedars, and fruit trees, each have an economic value. It would be difficult to say which is of most importance. Each species also differs in the size and quality of individuals. So also souls springing from the same family, state of spiritual life, and degree of emanation, differ one from another. Not only may they have different angelic parents, but their experiences previous to human incarnation may widely differ. Consequently, when they arrive at the human stage of their pilgrimage their educational needs, in order to round out their latent qualifications for universal usefulness, are very different. The character at birth is the result of the soul’s past experiences reacting on its inherent quality, just as the character of a horse or a dog is likewise the result of past incarnations in still lower forms. That a man must have had innumerable human incarnations because he has a brilliant intellect is tantamount to saying a race horse must have had innumerable incarnations as a horse—at times being a wild horse, a farm horse, a dray horse, a buggy horse,—etc. in order to be a race horse. Or must we say that a setter must have passed incarnations as a mongrel, a terrier, a hound, a coach dog, etc.? Not so! The soul never incarnates in the same species twice. It is ever drawn to a species higher in the scale of evolution. It is a dog but once, and whether a cur or a lifesaving New Foundland depends upon its transitory need for experience. A horse will be a horse but once, but whether a plug or a driver will depend upon its incidental polarity, and has nothing whatever to do with its sins or good deeds to other horses in past lives. Likewise, the soul inhabits the physical form of man but once; and whether as a Bushman or a college professor depends upon its transitory need for expression. Then it passes to a higher form in the scale of evolution, which in this case is a spiritual form. To say that each man needs all possible experiences and all kinds of human lives is to assume that Nature’s aim is identity of expression. But Nature’s aim, as a glance around must assure us, is specialization. This principle of division of labor and specialization of parts, as well as the development of individualism, is glaringly apparent in all her work. Nor is the disparity between races of mankind so great as was formerly thought. The science of language has in later years made this plain. Even the Australian Bushman, when given the same educational advantages, is found to rival his European brother in attainment; although, of course, following the law of specialization, each race more readily becomes proficient in certain lines. But among human beings there are not, as among animals and birds and plants, different families, different genera, and different species. All belong to a single species—Homo Sapiens—the various subspecies, or races, being due, as subspecies usually are, to the affect of local environment. Certainly, the savagery practiced in modern warfare by civilized nations cannot be surpassed by the aborigines of any land. The love of pillage is just as strong in the breasts of our millionaires as in those of the lowly savage. To be sure, the average savage follows a stricter code of morals than that to be found in our populous centers of civilization. And it should be remembered that intellect is no mark of spirituality; for the intellectual geniuses have all too often been the scourges of mankind. At first glance it would seem that the savage labored under a great disadvantage; but when we consider that responsibility can only be measured by opportunity, and that the savage usually makes as much of his opportunities as the civilized man, if not more, it alters our conception. For karma, if just, must deal lightly with those who err through ignorance, while punishing severely those who know the right and deliberately forsake it for the wrong. Yet where knowledge of spiritual things is concerned, the savage usually has the best of it; for living close to Nature he draws from her the knowledge of a spiritual life and frequently communes with the dead, while civilized man, having his inner senses blunted by artificial living, scoffs at all his dollars cannot buy. The savage, therefore, when he passes to the life after physical death will have but a few foolish notions and fetishes to forget. But the civilized man will be encumbered by a thousand false scientific and religious teachings, as well as the fetish of his egotism. He usually is so sure nothing can lie beyond his preconceptions that he will free himself from them only with great difficulty. But what narrow vision is it that would single out from the illimitable chain of existences that forms the cycle of the soul, this particular link of destiny as the only one needing consideration in the light of divine justice? Is the horse that is whipped, or the dog that is starved and beaten, or the deer wounded in the chase, so tortured because of sins committed in the past? If we look about us we find that suffering is Nature’s means of furthering evolution; for suffering is the common heritage of life as we observe it. The rose grows thorns and the cactus develops spines to escape the pain inflicted by foraging beasts. Man builds a new machine to escape the suffering of arduous toil. We all have suffered in the lower kingdoms. To single out what a man suffers here, or what he gains here, from what he has gained in the past, and what lies before him in the superb vistas of the future, is to try to judge the size and splendor of a mountain range by looking at a single pebble. Those who die young grow to maturity and are given all the opportunities for progress in the astral world. The mission of external life is to develop self-consciousness, and that once attained there is ample opportunity in higher spheres for further development. Whatever is necessary for the development and culture of man can be found there. A savage or a child can be taught there quite as readily as here. It may be asked, then, of what use is external life if its lessons can be learned elsewhere. It is a necessary experience for the realization of self-consciousness. But even as an animal species is one link in the evolutionary chain, and the soul incarnating in it passes at death to the next higher form regardless of whether it lived in Africa or America, whether it lived a few days, or for years, or whether it was permitted all the experiences common to the species or not; so man at death passes on in his evolution, even though on earth much restricted. And he will find, to recompense him for loss of opportunity on earth, other advantages on the next plane. If a man’s miseries are due to karma resulting from sin, in his first incarnation when he had no evil karma he must have had all opportunities, all happiness, all blessings. It is surprising under such conditions that he should ever have sinned and brought the vengeance of suffering upon his head. Apparently everyone is sinking deeper in the mire of sin, for suffering is everywhere prevalent. And if we could not escape sin when we were free from malignant karma, how can we expect to live blameless lives with the weight of it now like millstones about our necks? If we explain human suffering and lack of opportunity by referring it to the just action of karma, we are then called upon to explain the justice of the equally great suffering and inequalities of the animal world. When man is born into human form the first time he has had no moral karma, for like the animals he has been previously irresponsible. But animals suffer in spite of their lack of karma, and animals of the same species have unequal opportunities. It is only when man attains self-consciousness and becomes morally responsible that he can make good or evil karma. Therefore, as in his first appearance on earth he had previously been an irresponsible agent, he could have had no evil karma. His condition then must have been determined by something besides karma. What this is that determined man’s condition in his first incarnation reincarnationists do not tell us. But certainly it is preposterous to suppose that all men in their first incarnation are born with the same or equal characters and opportunities, in equal environments, and undergo equal suffering. Nowhere in Nature do we observe any such equal condition. Is it not more probable then, that the same factors that determine an animal’s condition of life also determined man’s? Even could it be shown that all people in their first incarnation had equal opportunities and equal happiness, there would yet remain to be explained the great injustice that gives to one person a character at his first human incarnation—before the intervention of karma—that enables him to triumph over evil and avoid generating much evil karma; while giving to another a weak and feeble character that has not the power to resist evil, and thus accumulates a terrific karmic burden. Before the intervention of this karma the individual could not have been responsible for the kind of character he possessed. But if characters were equal and opportunities were equal, experiences would be equal, and we would not witness the apparent inequalities that we daily observe. So, after all, that a soul is endowed with a weak character before attaining responsibility would seem as great an injustice as that of being given poor opportunities. The justice of difference in character which, to account for the differences to be observed in lives, must be admitted if it be held that advantages are meted out justly, can only be explained by the obvious fact that there is need for various kinds of souls who undergo different experiences. Karma plays no part as a moral agent until moral responsibility is attained. Man is ushered into life once without such karma, then, and subject to the very inequalities karma was invented to explain. Numerous lives only increase the suffering, for suffering is common to physical life, none being entirely free from it. Karma serves no real purpose and removes the hope of being free from this suffering to a remote future. To justify the suffering of one life, reincarnationists have substituted equally unjust suffering through many hundred lives. Unjust, because in nearly all cases the one punished is entirely ignorant of why he is suffering. It is as if a man were to whip a grown dog for offenses committed when he was a puppy. Karma has no power to force man back upon earth. Nature does not reverse her operations. The soul on the ascending arc of evolution cannot reincarnate in a lower form, nor can it thwart the purpose of the life wave by repeatedly reincarnating in any one species of life. The life wave carries man irresistibly to the next stage, which is above the physical. Karma really embraces the astral organizations which we have built into our astral bodies previous to and during earthly life. These, by the law of magnetic affinity, after death attract us to conditions corresponding to their vibratory rates and compel us to work out our redemption from evil face to face with the motive prompting every earthly deed, with conscience presiding as the judge. The factors that determine man’s condition in life when born into human form, are the original polarity of the soul, plus the various thought cells organized in the astral form through his experiences in the lower forms of life through which he has evolved. His condition at any time during human life is determined by the organizations of energy in his astral form at birth, plus those added by the various thoughts and deeds up to the time considered. Likewise, his condition immediately after death is determined by the thought cells organized in his astral body up to the time of death. As morality or lack of it is most effective during human life in power to give these thought cells special desires, atonement is not a matter of vengeance. It is a purification preparatory to a higher phase of life in which, if there is suffering, there is full knowledge of what caused it. We find, therefore, that human reincarnation as usually taught is illogical, unjust, purely speculative, hope destroying, and completely materialistic. It is an orthodox teaching of the Orient; and orthodox beliefs of both East and West were formulated in a period when men knew almost nothing about how Nature operates. How Nature is actually observed to perform, the Universal Law of Compensation, and the true significance of pleasure and pain are explained in Course XIX, Organic Alchemy. 1910	unsuccessful candidate for governor of Ohio: Sun semisquare Sun r, Mercury conjunction Jupiter p.
1920	elected president of US: Mercury conjunction Jupiter r, Venus conjunction Mars p in 10th. 1923	August 2, died of ptomaine poisoning: Sun square Neptune r. Minor Sun semisextile Neptune r, sextile Sun p. Transit Sun trine Neptune r.
Major Progressions in outer circle are for Aug. 3, 1923. Minor Progressions on outside of chart are for Aug. 3, 1923. 1897	began practice of law: Mars, co-ruler of 10th, opposition Saturn p.
1905	married: Mercury sesquisquare Neptune, ruler of 7th. 1923	became President of U. S. through death of Harding: As progressed above, M.C. opposition Saturn r, Mars conjunction Uranus p, Asc. sextile Jupiter p, Mercury conjunction Venus p. Minor Mars square Venus p and Mercury p, Uranus conjunction Jupiter p.